This Chakra is about self-awareness on the highest level creating a state of "bliss" Feeling at peace and joyous of life in the moment. HEALTHY ENERGY: When the crown Chakra is clear, it enables one to see the truth concerning ideals, materialistic pursuits, self-limiting concepts, pride and vanity; it further allows one to experience self-awareness and conscious detachment from personal emotions. Crown Chakra means the rest of the other Chakras blockages are dissolved, for you are truly open and connected with yourself and the divine. You are a vessel through which the universe energy can flow without any interruption's of your pride or ego and are at all this is. Blocked Energy: When Your Crown Chakra is blocked you feel a sense of not belonging, indecisive and feelings of fatigue. Addictions are mostly common and there is no lust for life in general. This chakra is the stage of awareness where all your experiences are welcomed without judgment, purity of speech and clarity communication. Health Energy: If your THROAT chakra is open and healthy, you are a charismatic, centered, truthful and balanced soul who is very intuitive and empathic. You honor your inner voice as much as anyone else’s, and are thus able to say “no” when needed, which creates very healthy boundaries between yourself and others. Blocked Energy: Blockages in the Throat Chakra means you are inclined to be inconsistent, lack self-expression and appear unreliable. You may be easily manipulated because you do not stand firmly on any issue one way or the other. Physically you may experience sore throats, laryngitis, tonsillitis and tinnitus. Essential Oils: Lavender, aniseed, blue chamomile, cypress, tea tree. Foods: Liquids, tart or tangy fruits, other tree grown fruits, spices. The HEART Chakra is about an unselfish, acceptance and love for others unconditionally; it's about a universal, unconditional love. 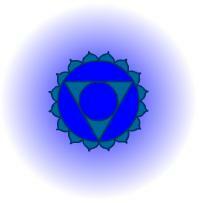 The 4th chakra is the gateway to higher awareness as it's the seat of consciousness. The heart chakra is the center of your personality energy field and where you begin integrating your spiritual awareness and physical experience. Healthy Energy: A healthy and open HEART chakra means you are in harmony with all that is around yourself and others. You are a very open, giving and loving person. You literally glow and radiate your inner peace and happiness because you understand that love involves giving selflessly, with no expectations of anything in return and that is the greatest gift of all. Blocked Energy: Blockages in the HEART chakra mean you may fear rejection, feeling unworthy of love or loving too much. You feel skeptical of anyone who wants to love you or your love relationships may be completely co-dependent. Physically you may experience heart problems, high or low blood pressure and allergies. Function: Balance; Harmony, equanimity, compassion, trust, loving relationships.